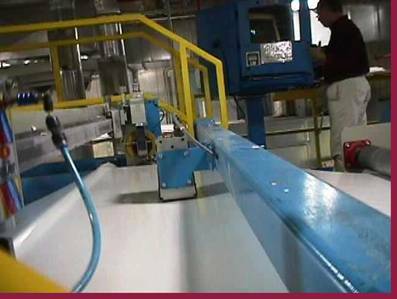 Splice Detection Solutions Web Industry | Quality2Process B.V. The RKB Series 1032 Splice Detection Systems offer an outstanding performance with the detection of splices, tear outs, missing plies and web breaks in a wide range of applications in the Web Industry. The edge mount Splice and Tear Out Detector 1032 is self-calibrating and can monitor single to multiple webs of material simultaneously. No adjustments, settings or re-calibrations are required and the 1032 is unaffected by material basis weight changes, colour or process line speed. The unit automatically adjusts itself to new conditions. Special splice tapes or colour marking are not required and the operation is unaffected by printed material. Key applications 1032: Coated papers (i.e., silicone, release, adhesive, matt, gloss, extrusion), films, foils, rotogravure, flexographic, holographic, non-wovens, textiles, tapes and specialty and writing papers. is self-calibrating and can monitor multiple webs up to 16 webs of material simultaneously for on-line detection of splices. The 1032B automatically adjusts to changes in the number of webs or the type or calliper of materials. Special splice markings of any kind are not required. 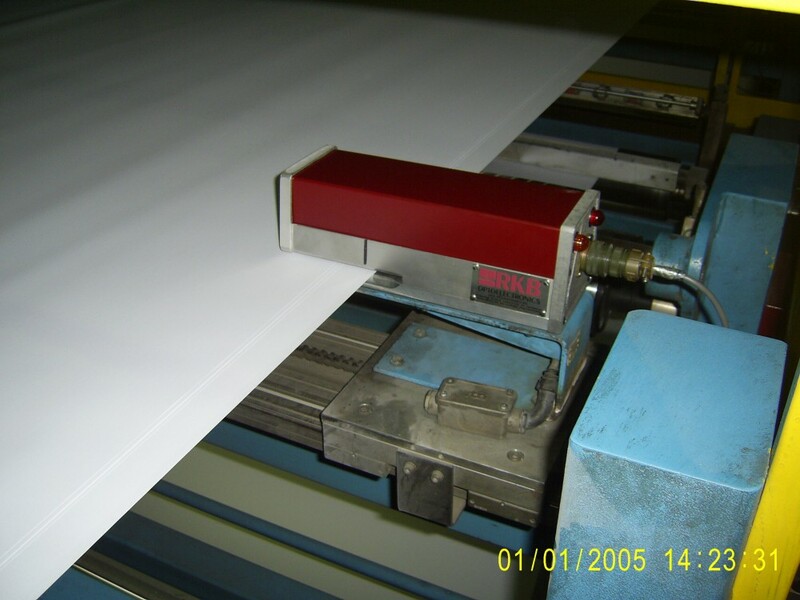 Key applications 1032B: Many grades of material on equipment such as: sheeters, coaters, supercalenders, extrusion laminators, roto presses, slitters, rewinders, paper machinery. The centre mount Metallised Splice Detector 1032C is a self-calibrating Splice Detector that monitors the web material continuously with no adjustments or re-calibration requirements. The 1032C is unaffected by material basis weight changes and colour and will automatically adjusts itself to new conditions. Special splice tapes or colour marking are not required and the operation is unaffected by printed material. Key applications 1032C: Standard and metallised conversion processes using laminates, foils, metallised materials. Implemented on many types of equipment such as: sheeters, coaters, extrusion laminators and roto presses.